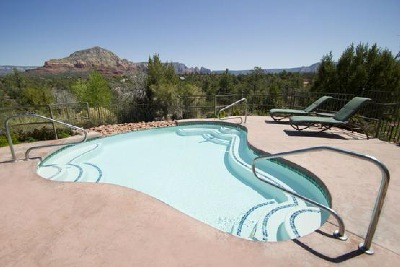 Sedona travel and vacations bring beauty, health and well being. 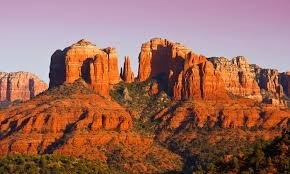 The first beautiful sight of Sedona you will notice are the RED ROCKS. 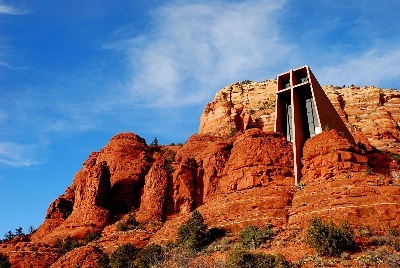 You may also see, depending on your route to Sedona, The Chapel Of The Holy Cross, nestled among the Red Rocks. 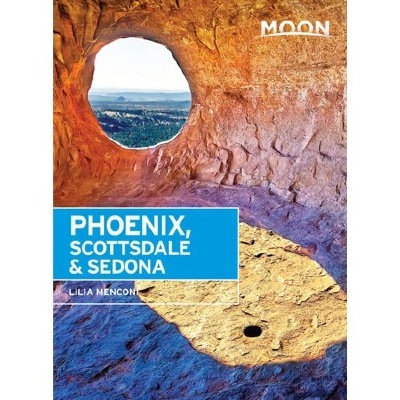 Make Your Escape to Sedona, Scottsdale and Phoenix with this single Moon Travel Guide. 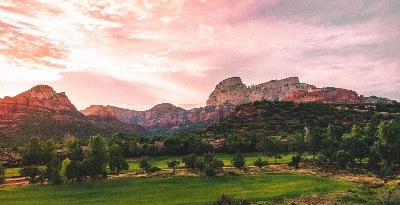 Wander world-class museums, relax in Scottsdale's resorts, and hike through red rocks in the Valley of the Sun with Moon Phoenix, Scottsdale & Sedona. Strategic itineraries, including a luxurious desert getaway, a family road trip, and a 10-day "Best of the Valley of the Sun"Full-color, vibrant photos and detailed maps throughoutMust-see attractions and off-beat ideas for making the most of your trip: Explore the local art scene, from Native American exhibits to contemporary galleries. Taste the best Sonoran-style cuisine this side of the Mexican border. Luxuriate in five-star resorts, world-class spas, and gourmet restaurants. Go stargazing in Sedona, or clubbing in Scottsdale. Browse new-agey shops or high-end boutiques, hike water-carved canyons and climb mountains, or go golfing at one of nearly 200 courses. Discover the rich culture of the Native American people who first settled the Valley, and venture to the leafy respite of Oak Creek Canyon to witness the red-rock monolithsHonest advice from Phoenix local Lilia Menconi on when to go and where to stay, with special focus on the best resorts in the area In-depth coverage of all three cities, including the Apache Trail and Superstition MountainsRecommendations for visitors with disabilities and for traveling with kidsThorough background on the culture, environment, wildlife, and historyWith Moon's local insight, diverse activities, and expert tips on experiencing the best of Phoenix, Scottsdale, and Sedona, you can plan your trip your way! 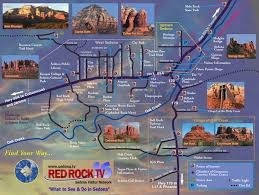 SEDONA MAP of Red Rocks. 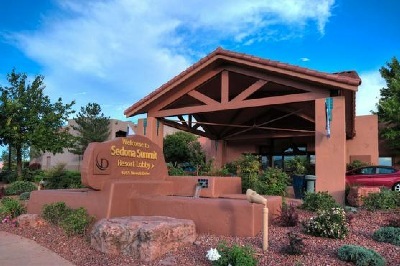 Stay at Sedona Summit Resort by Diamond Resorts in Sedona (West Sedona), you'll be within a 10-minute drive of Amitabha Stupa and Crescent Moon Ranch. 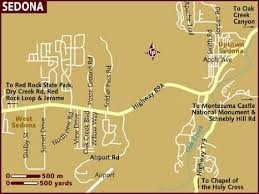 These condos are 7.8 mi (12.6 km) from Chapel of the Holy Cross and 11.2 mi (18 km) from Bell Rock. One of the great places to rest quietly, with a great view, is this small pool. It's smaller than many at the Summit Resort. Your not likely to find it without asking. 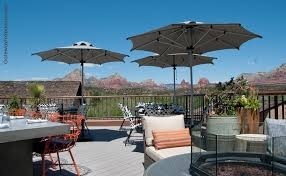 THE WYNDHAM RESORT IN SEDONA IS WONDERFUL. Stay at Wyndham Sedona in Sedona, you'll be 3 mi (4.9 km) from Tlaquepaque Arts and Crafts Village and 6.3 mi (10.2 km) from Chapel of the Holy Cross. This condo is 9.7 mi (15.6 km) from Bell Rock and 9.9 mi (15.9 km) from Slide Rock State Park.S. Best Sedona Restaurant 2018: THE HUDSON. For 15 years we have been trying to find a restaurant we remembered in Sedona. It had good food and memorable views. On our 2018 trip we decided to make an extra effort to find it - and find it we did. It had changed it name but was still owned by the same people. The food was great, the view was great and our waitress, Mallory, was as attentive as she was beautiful. The menu included an excellent BLUE CHEESE CRUSTED PRIME FILET of USDA Prime Center cut filet mignon, blue cheese crusted with whipped potatoes and seasonal vegetables. I enjoyed a delicious SHRIMP PASTA with fettuccine, sun dried tomatoes, baby spinach, roasted red peppers, pesto cream sauce, and toasted garlic bread. It was hard work finishing it. After an excellent dinner, magnificent views and great service, we had two regrets. ELLIE’S CHOCOLATE PEANUT BUTTER PIE, a peanut butter mousse, chocolate cookie crust, bittersweet chocolate ganache. Second, I learned we had gotten a great seat, as soon as we walked in, by luck. When we left the restaurant it was packed, not a single table was available. I aksed Aleia, the manager, if she was always so crowded. Sh said it was a "slow night." In high season the line outside can be an hour long. Aleia suggested you call ahead for reservations (928-862-4099), which we will do next time. 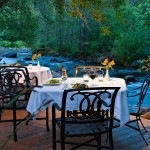 DINING AT L'AUBERGE by the creekside is great, morning, noon or night. Click here for menu and directions >https://locu.com/places/thai-palace-sedona-us/ <. Chef Michelle says, “There’s a piece of me in every one of our restaurants but Bocce is straight from my heart. I grew up in the family deli business on the east coast and learned traditional Italian home cooking from my Grandmother. 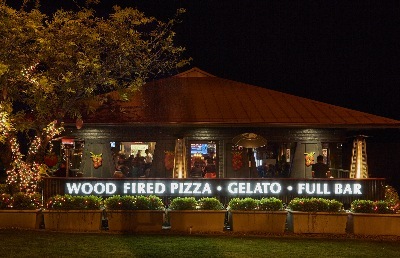 When we decided to create a pizzeria in Old Town Cottonwood I traveled back to the very roots of our family in Naples, Italy to become certified in the art of pizza by Associazione Verace Pizza Napoletana, AVPN. It all starts with the bread and our pizza is made with Caputo Flour, a gluten free flour, imported from Italy. We make the crust the traditional way, no twirling, every crust is hand kneaded into just the right consistency before it gets fresh toppings and bakes in a wood burning stove the way it has been done in Naples, the birthplace of pizza, for over 300 years.” Pizzeria Bocce is a feast for the senses with great food and drink, the aroma of pizza cooking in the wood burning oven, and a scrumptious palate of materials including black and white marble, two mural size historic photos, intricate mosaic tile, custom iron work, a stone patio with flaming torches, and of course the namesake bocce ball court on the patio alongside the stream. Bocce has been featured in the media online, TV, in newspapers, and magazines including the 2016 Photo Issue of Arizona Highways and featured in Phoenix Magazine. The Enchantment Resort writes, " There is nowhere on Earth quite like it. 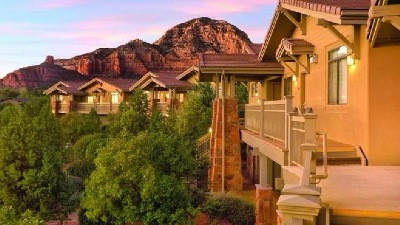 Set on 70 acres of panoramic natural terrain, Enchantment Resort® stands at the doorway of secluded Boynton Canyon…surrounded by red rock formationsknown for inspiring the mind, body and spirit.Make sure to stop at our unique southwest resort and sip a prickly pear margarita while you enjoy breathtaking red rock views. Experience the Native American culture of this distinctive region. And let the kids enjoy Camp Coyote, designed to educate and entertain children age 4-12. 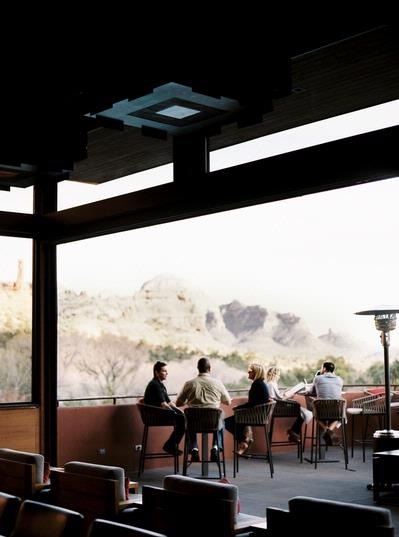 Indoors or outside, at View you’ll be immersed in Sedona’s signature red rock vistas. These epic views only enhance the light fare and small plates you’ll find on the menu. Awarded Wine Spectator’s “Best of Award of Excellence,” View’s sommelier-curated wine list features the largest selection of Arizona-made wines alongside locally made craft beers and specialty cocktails. There is no better place to experience the magic of Enchantment and its surrounding beauty than in this intimate lounge setting. Szechuan Restaurant is the home of Sedona, Arizona’s favorite Chinese food and special Sushi selection. 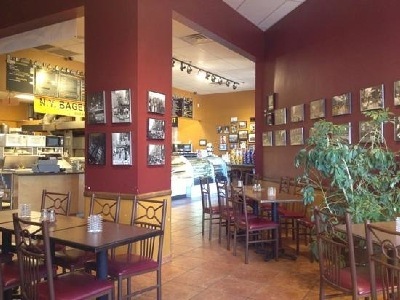 No trip to Sedona should miss the New York Bagel and Deli. Many modern bakeries receive their baked goods frozen from a food supplier and merely bake them. Not at NY Bakery and Deli. Pastries are handmade from scratch utilizing the freshest ingredients. Looking for a quick bite to eat? Pick a sandwich to “grab-in-go”, pizza by the slice, or eat here indoors or out. Drop by for breakfast or coffee and dessert from 6:00 am until 3:00 pm. STARBUCKS COFFEE is something conservatives should avoid. It is so left-wing one woman was bullied at a Charlotte store simply for wearing a Trump T-shirt. 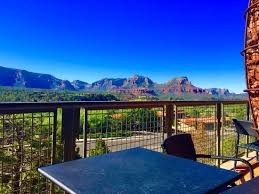 However, if you are in Sedona you should visit what could be the best view of any Starbucks coffee anywhere. Pisa Lisa is a unique restaurant with interesting Pizzas and many other delicacies. This is pizza with that special “thing” that sets it apart,all the ingredients are coating on the crust, where every bite, down to the rim of the crust, is something so heavenly that you cannot put it down. I can honestly say that I was thrilled With our eggplant Pizza.” What’s in a name? When the owner was a kid her dad would pinch her sometimes and say, “I wanna little piece of Lisa!” That was his gesture of affection for the now adult owner. 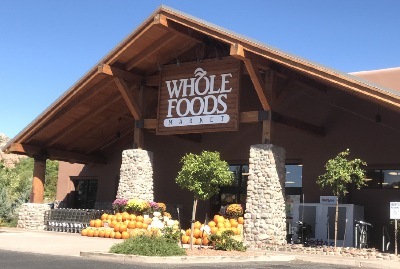 WHOLE FOODS in Sedona is both a food store and it has a bar for eating. SHOPPING IN SEDONA should mean shopping at come rather amazing thrift shops. TWICE NICE is a boutique of nice things. MIRACLES HAPPEN RESALE STORE takes pride in presentation. They strive to keep quality items for a reasonable affordable cost. They believe this way everyone in their community will be able to afford what they like.